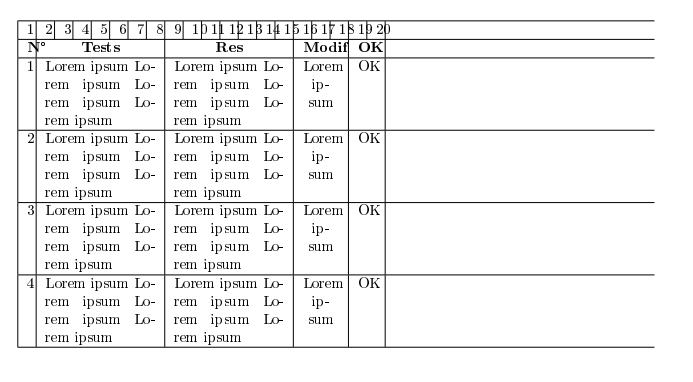 I want to create a table with 100% width of the page so i'm using the package tabularx. I need to set the width of the columns, so I decided to separate the table into 20 separate columns. This allows me to assign a number of columns for a single cell using a multicolumn. I found an example and I adapted it to my case. But do you really need 20 columns? 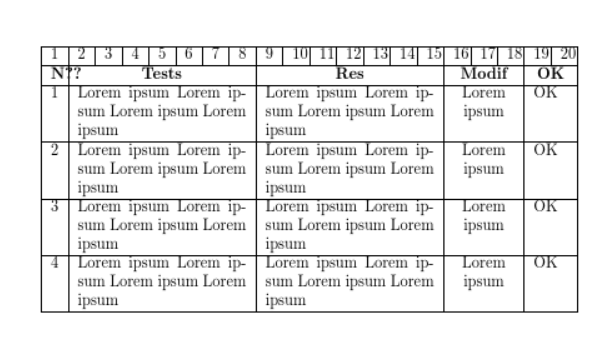 if the 1-20 is just for debugging rather than data it would seem that you only really have 5 columns.